Yesterday was our first day back in Paris! After a 9 hour flight, we dropped off our luggage at the hotel and immediately headed to one of my all-time favorite haunts, Laduree, for lunch. It was a great meal (as always) and I picked up some macaroons afterward – rose petal and salted caramel are my obsessions… Later we went shopping along the Rue Saint Honore until it started raining – unfortunately it didn’t stop sprinkling until after dinner (hence the awkward outfit photos right outside of the hotel lobby). 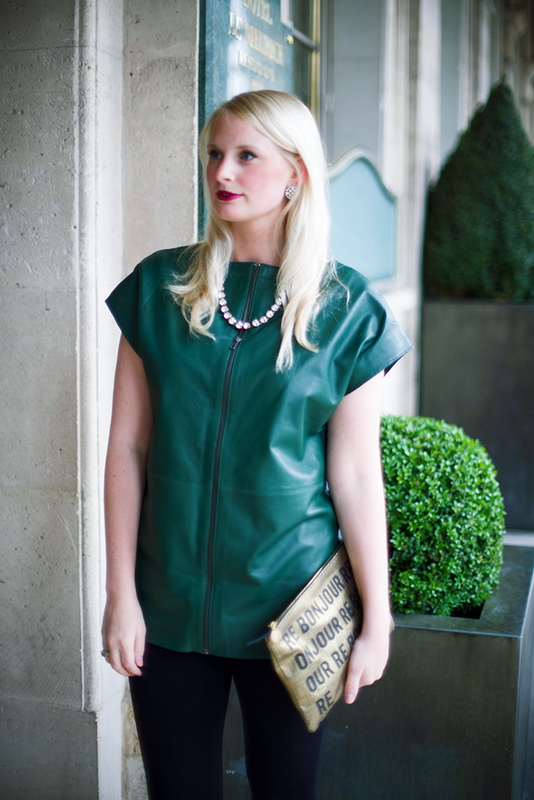 I’m loving my new ASOS leather top – the green is perfect for fall, but also looks great with my white jeans right now. Also, just in case you’re curious, I decided to wear the top backwards – the zipper is actually supposed to be in the back, however I think the zipper added a cool toucher touch to the front than the deep v neckline. It looks great worn either way! Today my mom, sister and I are going to walk through the Tuilieries Garden, then go to the Marc Chagall exhibit at the Luxembourg musuem before lunch at Le Restaurant. I imagine we’ll spend the rest of the afternoon shopping. Don’t hate it! Hope you all have a great weekend! PS :: DON’T forget to check out my summer style tips and favorite margarita recipe over at Lucky Magazine and my blog! Click here to check out the essentials every lady needs before hosting a summer get together. Well you’re sure to have a good weekend! Love these quick snaps along with that ASOS top! That bag is fabulous! 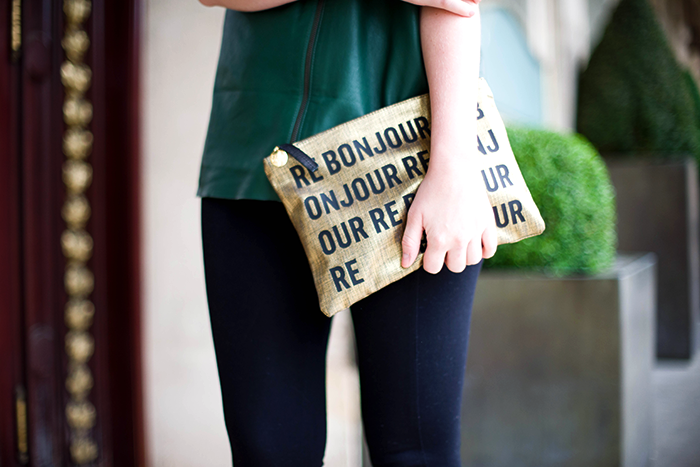 I love it paired with the leather. So classy! 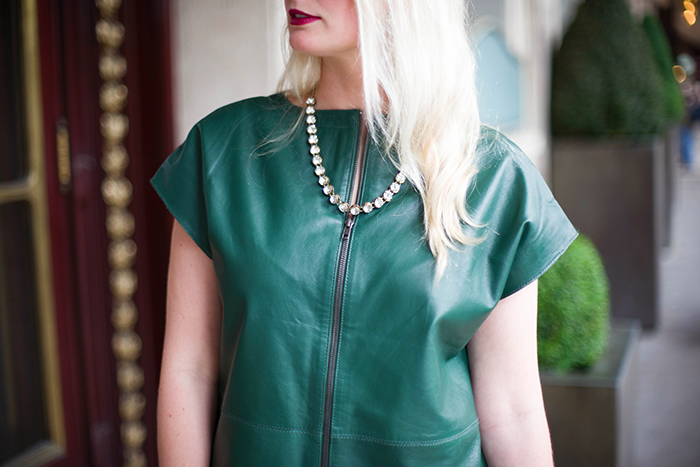 That green leather is sooo fierce!! love it!